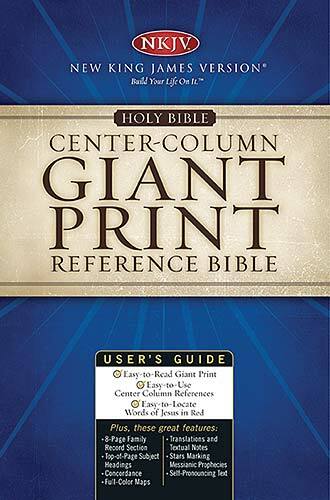 Now there is a New King James Version Reference Bible available in a giant print. With center-column references, self-pronouncing text, topical running heads, messianic prophecies with stars, 8 pages of maps, and concordance, this is a true reference Bible. NKJV Reference Bible: Burgundy, Bonded Leather, Giant Print by Thomas Nelson was published by Thomas Nelson in April 2006 and is our 17475th best seller. 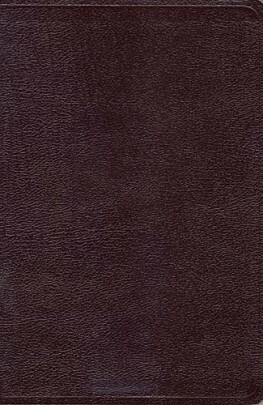 The ISBN for NKJV Reference Bible: Burgundy, Bonded Leather, Giant Print is 9780718015824. Be the first to review NKJV Reference Bible: Burgundy, Bonded Leather, Giant Print! Got a question? No problem! Just click here to ask us about NKJV Reference Bible: Burgundy, Bonded Leather, Giant Print.